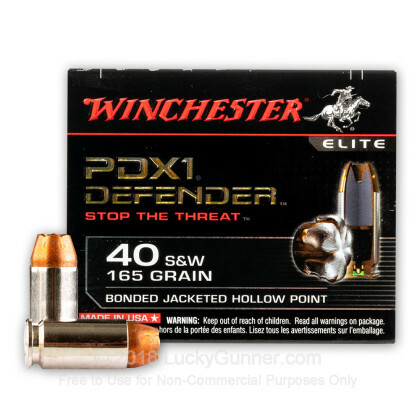 Top of the line, Premium grade home defense 165 grain 40 S&W ammunition in Stock! 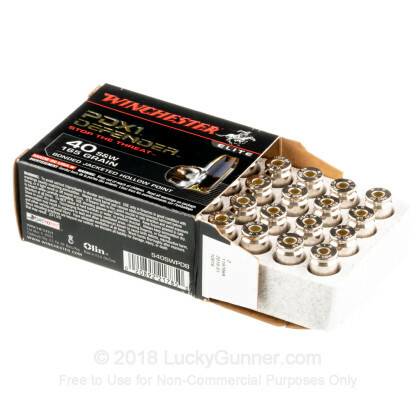 Manufactured by the legendary Winchester Ammunition Company, this product is brand new, boxer-primed, nickel-plated brass cased, non-corrosive and reloadable. 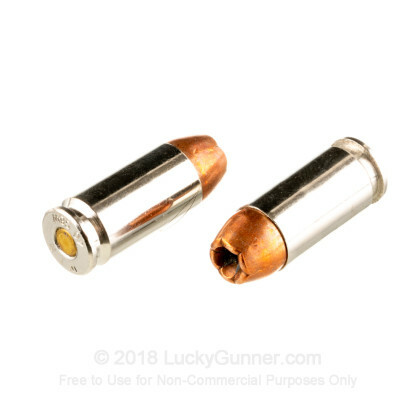 We test fired five rounds of .40 S&W (Smith & Wesson) Winchester 165 gr PDX-1 into synthetic ballistic gelatin to observe its expansion and penetration characteristics. The ammo was fired from a Glock 27 pistol at a distance of 10 feet. A four-layer barrier of heavy fabric was placed in front of the gelatin to simulate clothing. Testing different bullets to determine my favorite load. I recently purchased a 40 caliber Smith and Wesson handgun. 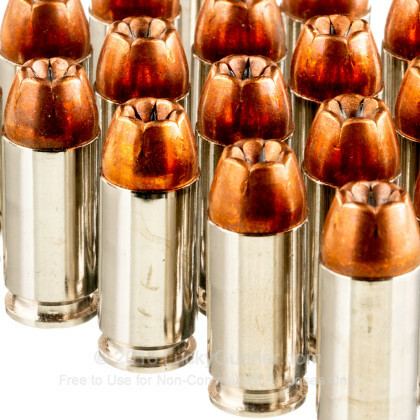 I wanted to find the right ammo to use in my gun that suits me. One that has enough energy and velocity yet not too much recoil either. My gun is considered a Compact when it comes to size so therefore it's middle of the road with handling recoil. 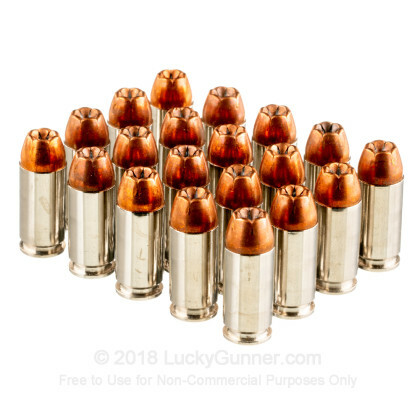 After testing various rounds I chose what I consider the perfect bullet for me. 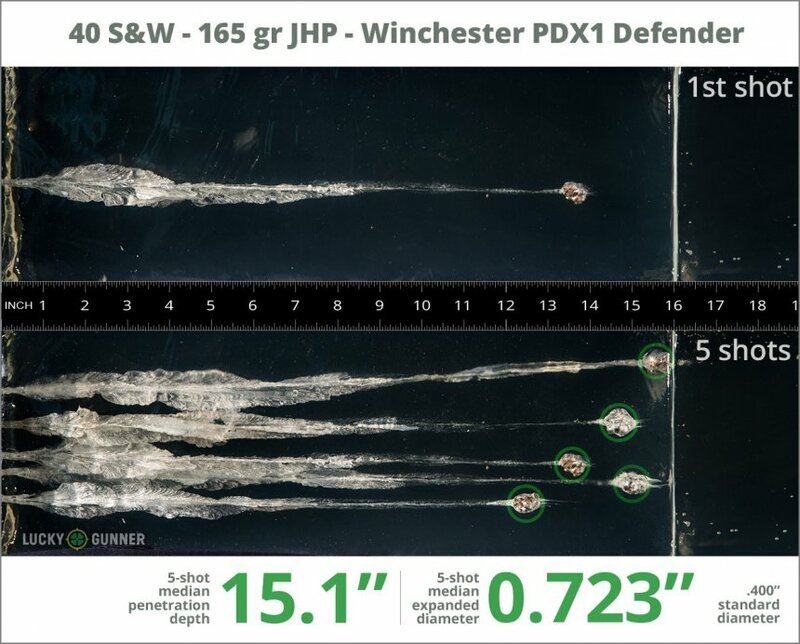 I tested Federal hydra-shok 155 grain, Federal HST 180 grain, Hornady Critical Defense 165 grain, Speer Gold Dot 165 grain, and also Winchester PDX1 165 grain. At the end of my range session, it was a toss up between the Speer Gold Dot 165 Hollowpoint and the Winchester PDX1. They are very similar for accuracy and recoil. I purchased the PDX 1 for about 4 dollars less for a box of 20, and it also had more controllable recoil than the Gold dots. 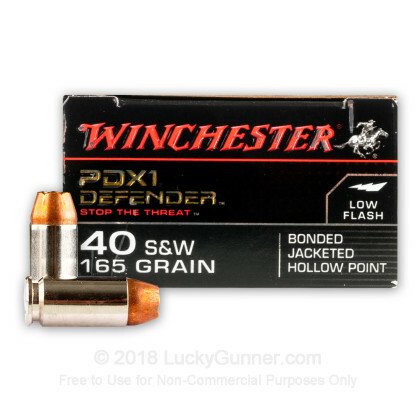 In summary I'm now a Winchester PDX1 fan, and it's what I keep in my handgun for self-defense. Thanks for reading. Be safe.